To obtain Rhode Island license plates for your vehicle, you must have the vehicle registered and titled with the Rhode Island Division of Motor Vehicles. You can do this at any of the five branch locations in Rhode Island. After submitting the correct fees and papers for your registration, you will receive your car's license plates right away. However, if order vanity plates, you will be given temporary Rhode Island license plates until your vanity plates are ready. 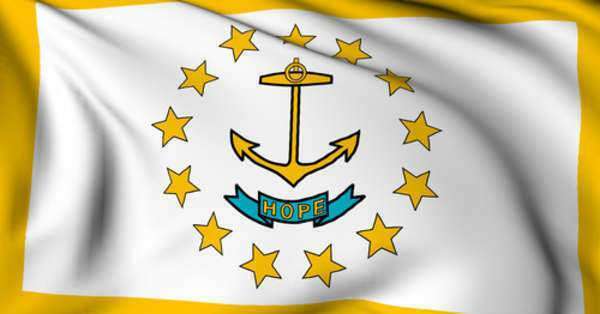 The Rhode Island Division of Motor Vehicles provides a service for drivers who want to order personalized Rhode Island license plates, or vanity plate, easily online. Payments for these may be paid for with a credit card. There is a $5 convenience fee for this service. Special license plates come with additional fees. To order a personalized plate on the standard plate design, there is a $67.50 initial fee for passenger automobiles ($41.50 for motorcycles). The charge goes to $81.50 if you request the sailboat plate design. These Rhode Island plates are valid for two years. In order to keep them when reregistering your automobile, you must pay a renewal fees. For a passenger vanity renewal, it comes out to $61.50 for two years and $61 for motorcycles.